Britain's Katie Summerhayes won ski slopestyle gold at the Junior World Championships in Valmalenco, Italy. The 18-year-old, who finished seventh at the Sochi Winter Olympics, scored 86.80 to beat Norway's Johanne Killi and Germany's Sabrina Cakmakli. Cal Sandieson, at 15 the first British male slopestyler to reach a World Juniors final, was seventh. "Katie totally deserved the win. 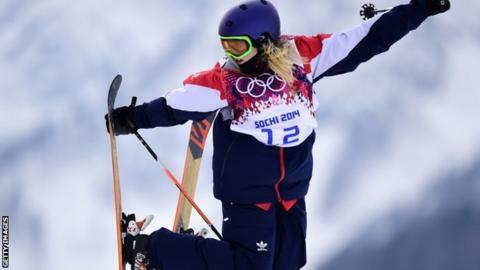 These are amazing results for us," said GB's freestyle ski head coach Pat Sharples.